Relatively flat with approximately 580 feet of frontage on Williams Drive and about 840 feet in depth average. Property consists of 2 different lots. 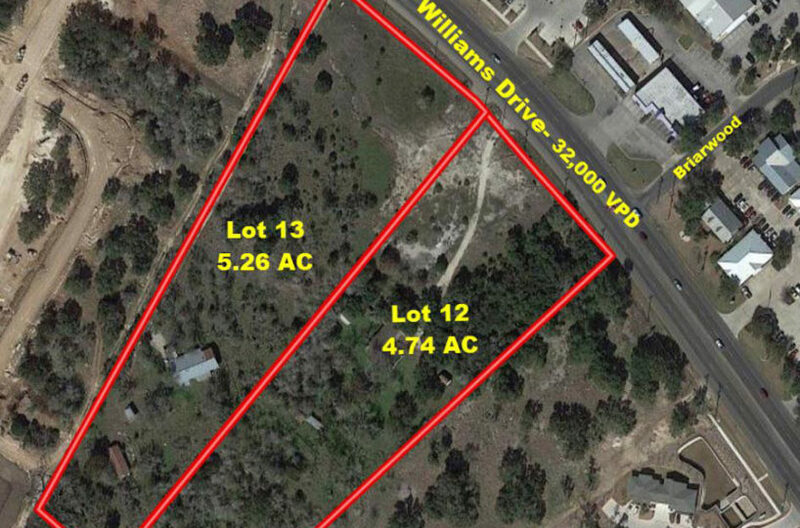 The property is heavily treed and there are residences currently located on the two lots. Residences are vacant. There is commercial and residential development on both the west (H.E.B., Walgreens) and east side of this site. Lots can be purchased together or separate.